1. Hide the Apache Version number, and other sensitive information. We can turn off directory listing by using Options directive in configuration file for a specific directory. Disable all those unnecessary modules that not in use currently. Otherwise you can insert a “#” at the beginning of that line to disable the unnecessary modules and restart the service. With a default installation Apache runs its process with user nobody or daemon. 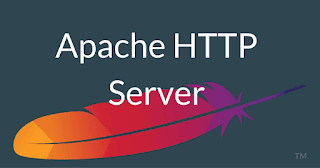 For security reasons it is recommended to run Apache in its own non-privileged account.For example: http-web. We can restrict access to directories with “Allow” and “Deny” options in httpd.conf file. Default Apache follows symlinks, So we can Switch off this feature with FollowSymLinks by using options directive. If we want enable a particular user or website need to FollowSymLinks , simply write a rule in “.htaccess” file from that website. If we are not using CGI turn it off with the Options directive inside a Directory tag. We Can’t completely protect your website from DDos attacks. So we use some directives to have a control on it. TimeOut : This directive allows you to set the amount of time the server will wait for certain events to complete before it fails. Its default value is 300 secs. MaxClients directive : It allows you to set the limit on connections it will be served simultaneously. Every new connection will be queued within this limit. > It is available with Prefork and Worker both MPM. The default value of it is 256. KeepAliveTimeout : It set the amount of time to wait that subsequent request before close the connection by Default value is 5 secs. LimitRequestFields : It set a limit on the number of HTTP request’s . Its default value is 100. LimitRequestFieldSize : It set a size limit on the HTTP Request’s. There are three main logging-related directives available with Apache. TransferLog : Creating a log file. Some other directives to look at are LimitRequestFields, LimitRequestFieldSize and LimitRequestLine.